The greatest battles built since 1999 – celebrating 20 years of LEGO Star Wars fandom! The LEGO Group raises its lightsabers to toast the fans instrumental to the success of the LEGO Star Wars 20-year legacy and launches five new special edition sets to mark the anniversary. Billund, April 9: Twenty years ago, in a galaxy far, far away, the LEGO Star Wars collaboration entered the lives of millions of children and fans around the world. Today, the LEGO Group is celebrating the 20th anniversary of the much-loved range that continues to unite fans of all ages and has inspired some of the greatest battles ever built. LEGO Star Wars was first introduced at the International Toy Fair in New York in February 1999 and has been captivating fans ever since. An impressive 13 sets were launched that year, as well as a LEGO MINDSTORMS Droid developer kit. Over the years, many crowd pleasers have been released, including the first version of the Chewbacca minifigure. This was a triumph in itself because of its challenging design. The design team came up with the idea of creating a head with fur covering the back and front of the torso, which has been used in many minifigure designs since. As for the scenes and characters that haven’t yet been sent into the LEGO Star Wars galaxy, stay tuned! 2001: 10018 Darth Maul launches as a set exclusively available on LEGO.com and in LEGO stores - at a whopping 43 centimetres tall! 2019: Star Wars Episode IX… stay tuned to see what this means for LEGO Star Wars! Look out for additional LEGO Star Wars articles later today. Wow, so who is the character that appears in most Star Wars sets after Luke Skywalker, Han Solo, Clone Troopers, Battle Droids and R2-D2? Lego Star Wars got me out of two Dark Ages. Hope we will soon see available sets never seen before. There are so many beautiful ships, locations and minifigs which deserve or a Lego rendition, or an update of old sets. Happy birthday Lego SW, one of my main and favorite hobbies, a joy shared with my daughter, with you Lego SW fans over the world (huge thanks to Brickset of course), all this to the great despair of my wife, who had the very good (?) idea, back in 2008, to offer me two sets for my birthday (Anakin's starfighter and EU Imperial dropship, updated this year to celebrate 20th anniversary). @CCC Looks like a tie (no pun intended) between Threepio and Leia... 25 sets each, or Vader (24 sets) plus Anakin (20 sets) 44 combined. I hope there will be comming more 20th Anniversary sets later this year. What I'm hoping to see in the future of LEGO Star Wars are sets (plus minifigures) that haven't been made into a LEGO set yet. I prefer totally new sets over good remakes. 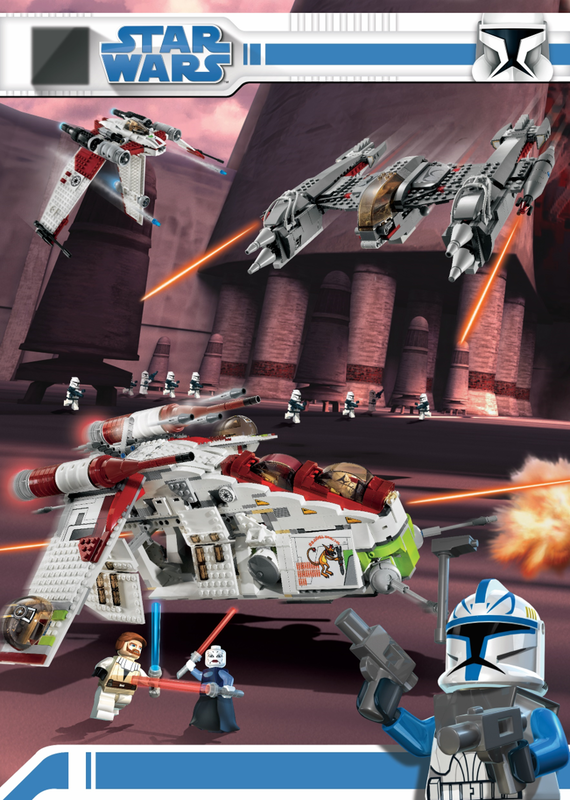 What I'm really looking forward to, are sets based on the upcoming and last season of Star Wars the Clone Wars. 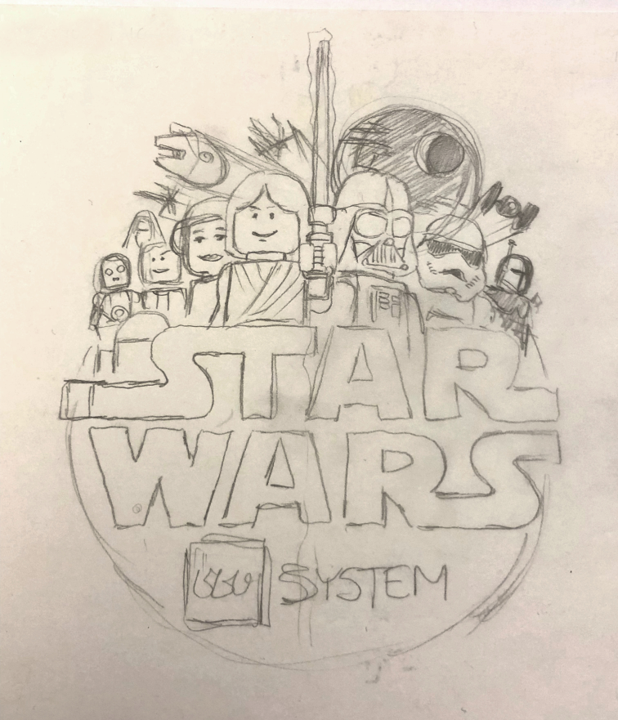 LEGO Star Wars was the first System theme I started collecting, and for that it will always hold a special place in my heart! True! Our beloved baron administrator Lando Calrissian became the first human LEGO Star Wars character with a natural skin colour (excluding 1999’s Darth Vaders light grey head which *spoiler* wasn’t his natural colour...) and that same year TLG also launched their Sports NBA basketball series of sets which also introduced (licensed) minifigs with several different shades of natural skin tones. The first LEGO Star Wars set that introduced lighter skin toned Minifigures (Han Solo and Princess Leia) was set 4504 Millennium Falcon (2003-2004, blue box and Original Trilogy edition box.) All in all, different natural skin tones were introduced just before the change in the brick colour palette (light gray to light bluish gray etc.) that started around the end of 2003/ beginning of 2004. Fun fact: Taking into account all LEGO colours and all themes, TLG has produced minifigure heads in about 40 different colours and minifigure hands in about 50 different colours. And though as much as I love Star Wars, it’d be nice to see at least original LEGO Space make a (preferably classic looking) return! 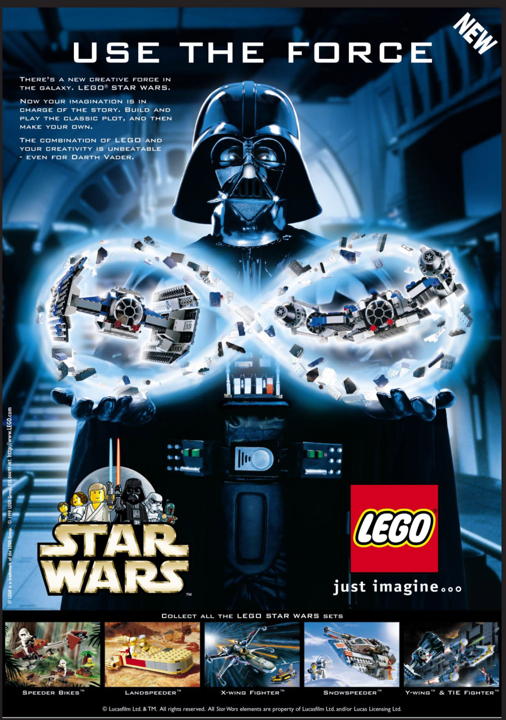 In the meantime, Happy 20th Anniversary, LEGO Star Wars! Great fun facts! Thank you. Plus it came with 2 battle droids with jet packs! Great simple underwater scenery. Should we also say: The first battle pack?? I wasn't that bothered about the answer. It just seemed a very strange fact to include in a press release. Except for Usain Bolt, Justin Gatlin, Andre de Grasse and Yohan Blake, Akani Simbine was the fastest man in the 100m final at the Rio Olympics. Still have my late 90s x wing, TIE fighter, Millenium Falcon, Imperial Shuttle, UCS X wing... all complete ready to be restored! Will always have a special place on my heart, will never sell them. 20 years, gosh I'm getting old! 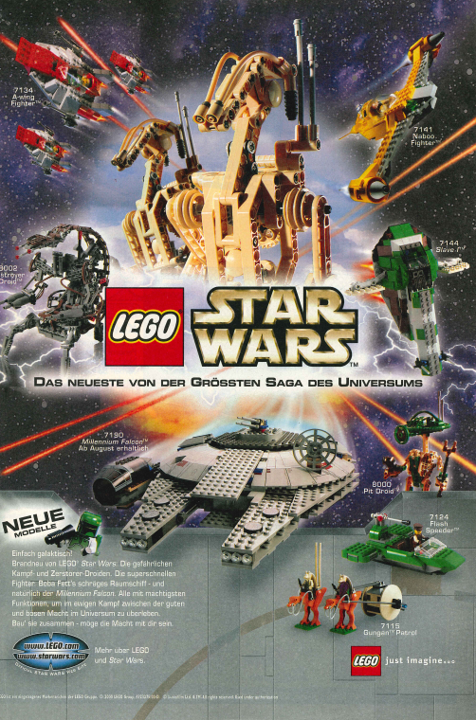 Fun fact: LEGO Star Wars was what got me into the Star Wars fandom in the first place - I wouldn't have given it a second thought if the two double-page spreads of the Phantom Menace sets in the UK Lego Adventures magazine hadn't interested me so much. As a result, even though I had no clue about any of the lore, when I visited a big toy shop later that year 7121 Naboo Swamp really stood out to me and became the first piece of Star Wars merchandise I ever owned. I think the SW franchise itself also has changed quite a bit over the years since the OT movies were big blockbusters in 78-82. After that it faded out of the mainstream and became a "cult" phenomenon, as very little official stuff was made - there was some comic books, the occasional computer game and some novels, don't know if the Kenner-Hasbro toys were made during this period. This was also when being a SW fan carried some true geek cred/stigma, especially as it was long before it became "trendy" to be (or pretend to be) a nerd. This changed in the late 90s when the re-releases and The Phantom Menace brought SW back into the limelight, but as it was still regarded as a "cult" thing I guess it was still considered a pretty bold move of Lego to buy into it - especially as it was their first licensed theme. For a while geeks could revel in a combination of their two favorite things combined, and undoubtedly it helped many older lego fans coming out of their dark ages. But while the OT movies (especially ESB) were considered somewhat mature, by the time of the Clone Wars animated series it became painfully clear that they were now aiming for a younger audience (probably due to many of the older fans now having kids themselves) and the franchise's geek cred started fading away. Over time the market started to get badly oversaturated with SW movies, games and merch (including the sheer number of lego sets), and while I never have been more than a casual fan I feel the the Disney takeover was the point where SW really jumped the shark and the saga we know and love became just another overcommercialized entertainment franchise. Personally I haven't bought a SW set in five years and I've never been sold on the TFA/TLJ movies. While the visuals are nice and they carry a general SW vibe they also feels like "requels" - movies that seemingly can't decide whether they're remakes or sequels (a bit like Blade Runner 2047). On one side major elements of the plot clearly mirrors the original movies (implying it's a remake), on the other side they refer to events from the originals (implying it's a sequel). Also the whole "back to square one" thing with a new Empire and new Rebels (not to mention a new Death Star) without any explanation to how this happened feels pretty lame. While Lego undoubtedly will hold on to SW for quite a few more years, the market saturation, the excessive "Disney tax" and the troublesome fact that too many of Lego's current licenses are owned by Disney may possibly mean that Lego at some point has to decide if it's time to let go. It probably depends greatly on how the franchise develops after Episode IX, and whether it manages to stay fresh and successful or if it will fade back into obscurity. Yes, Happy Birthday to the theme that awoke me from my Dark Ages. I only bought a couple sets at first, the original Millennium Falcon and Snowspeeder. Had them displayed in my TV shelf for several of my bachelor life years. I didn't really start collecting heavily until around 2010, and then had to have all that great stuff I'd missed out on. If TLG hadn't acquired the SW license way back when... oh the thousands of dollars I would have saved, and probably wasted on something which wouldn't have held it's value. So I say thanks again (my wife not so much)! Hope this a sign we will be getting a reveal for the May 4th UCS set soon. @Mechahamster Same here, it got me fully back into LEGO and Star Wars. I see a couple issues with the timeline. 2003 did not mark the introduction of natural skintones into all licensed themes. Prior to Lando, only the NBA minifigs avoided using yellow as a generic skintone. In the mainstream LEGO Star Wars theme, yellow was still the standard for everyone, but LEGO Direct was responsible for the Cloud City set and somewhat forced the issue by including Lando in brown while Luke/Han/Leia/Stormtrooper all still had yellow heads. It wasn't until the following year that, along with the infamous color change for brown and greys, the rest of the SW theme and the entire Harry Potter theme followed suit. The other issue is with calling that X-Wing the "largest LEGO model". While the ~5.3 million bricks may hold the record for the largest quantity of pieces used in a single model, in terms of sheer size it was beat four years earlier by James May's LEGO house. The original Kenner run, then called Power of the Force, lasted about two years after the release of RotJ, with Kenner calling it quits in mid-1985. The action figure line wouldn't return until 1995, although Galoob beat Hasbro to the punch with their line of SW Micro Machines released starting in 1994. But it was Dark Horse's Dark Empire miniseries and Zahn's Thrawn trilogy that really got the ball rolling when they debuted in 1991. The only major SW product that sorta bridged the gap that I know about is West End Games' Star Wars RPG that launched in 1987 and ended in 1999 after their 1998 bankruptcy. I'm not aware of any SW merchandise of any type being released between the end of PotF in 1985 and the launch of the RPG in 1987. It wasn't as risky as you might think to buy into the Prequel licensing, as they had the rising success of Hasbro's PotF2 action figure line showing that there was a huge market waiting to be tapped. It's worth noting that the Phantom Menace merchandising blitz was both the most successful (most product sold) and least successful (most product left _unsold_) of any licensing deal up to that point, and may still hold both records to this day. Last I heard, there was an entire warehouse still full of Jar Jar and Darth Maul neckties. @axeleng: Pricing was about the same looong before the Disney buyout. They've got nothing to do with it. The current Lucasfilm-Lego agreement was finalized in 2009.